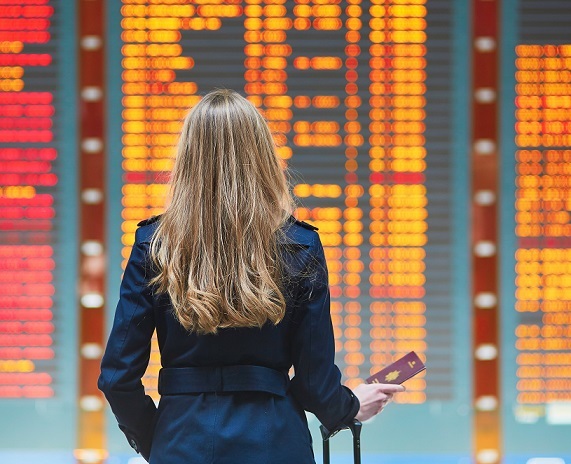 A new ‘Women in Business Travel’ report released by global business travel specialist FCM Travel Solutions (www.uk.fcm.travel) has revealed that despite current public scrutiny of the gender pay gap and equal treatment of women in the workplace, when it comes to business travel, male and female preferences and habits and are not that dissimilar. The report is based on a recent survey among 1,000 of FCM UK clients’ business travelers. Almost 52 percent of respondents were women, and 48 percent male. Both genders dislike the same aspects of business travel. Top of the list is being away from family or partner (72 percent), followed by disruption to work, (38 percent) and disliking having to travel alone (14 percent). More positively 45 percent of women respondents said that they enjoy travelling on business in comparison with 39 percent of men. But both enjoy face-to-face interaction most (60 percent), followed by meeting colleagues and the experience of travel. One notable gender difference which emerged however is the reason for business travel. Meeting clients is the single biggest reason for men (22 percent), but is only true for 12 percent of women, whose main reason is internal meetings (13 percent) against 10 percent for men. Duty of care also showed discrepancies as according to the FCM report only 18 per cent of corporate travel policies address the safety needs of female travelers. Additionally, although 61 per cent of buyers believe it is important to consider women’s safety, only 44 percent have arrangement in place to allow female-friendly lodging options. – nearly equal proportions of men and women travel by air, but more women use the train and more men use self-drive. – men prefer to drive to the airport, but marginally more women take a taxi. – use of airport lounges makes only a minor contribution to the enjoyment of travel with 23 percent of respondents using one every trip. In fact. 25 percent of women say they never use a lounge. “The number of female travelers has increased by 50 percent over the past five years and nearly two thirds of travelers today are women. At the same time gender diversity and gender pay gaps are hot topics in the corporate world today,” commented Jo Greenfield, UK General Manager, FCM Travel Solutions. “We decided to conduct research among our clients’ travelers to gain better insight into the needs and preferences of female travelers versus men and whether corporate travel programs still need a more tailored approach,” explained Greenfield.